Do you want to make your meeting or event very special? Our cozy log villas and our location in the middle of the Nuuksio National Park, as well as the Porkkala marine environment, provide a wonderful setting for a meeting and recreation day in the metropolitan area of Helsinki. We are a family business founded in 1994. Our strength lies in years of experience in the field and flexibility in organizing events. 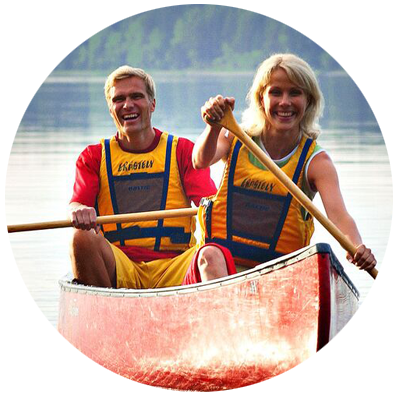 We have fixed facilities in the middle of Nuuksio National Park, a short distance from Helsinki and the airport. We serve our customers individually as we always have one single group in our premises at a time. All food is made in our own kitchen on site from fresh seasonal ingredients. Our activities offer a wide range of year-round wildlife excursions. 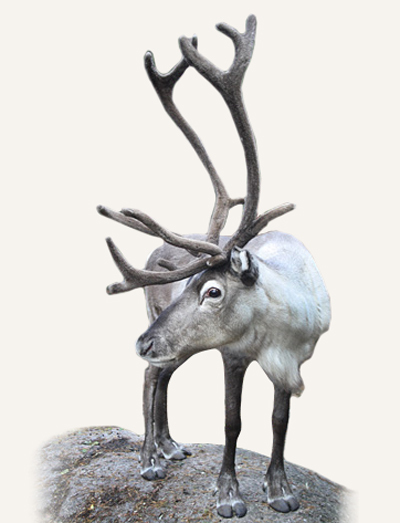 We offer a touch of northern exoticism in the southernmost Reindeer Park in Nuuksio, Finland. You can feed reindeer and dine at the atmospheric White Reindeer Teepee Restaurant by the open campfire. Experience a touch of northern exoticism in the southernmost Reindeer Park in Finland, where you can get acquainted with reindeer herding, the reindeer and feeding them lichen. In the Reindeer Park, there is also the atmospheric White Reindeer Teepee Restaurant, where you can enjoy campfire coffee, lunch or a three-course dinner with wine. Tell us about your event - the number of participants, the desired activities and the need for dining - we will tailor the offer to meet your needs. We would be grateful for your feedback on our services and customer service in order to improve them even further. Send us your feedback either by e-mail to sma@sma.fi or via our SOME channels Facebook, Instagram or Twitter.